Disgeno is aimed at those who are hungry for updates on architecture, design and fashion. The three aspects of vanity are very neatly compiled into one very special magazine and it is the most sought out magazine as it graces the stands only twice in a year. 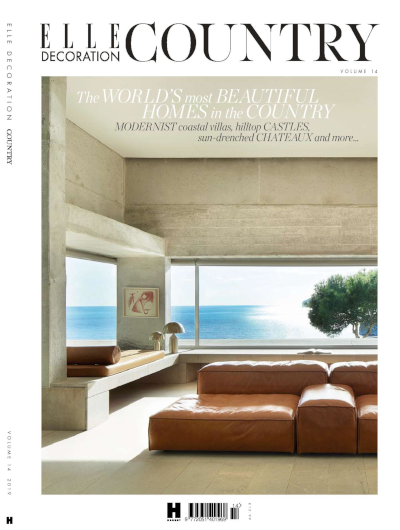 The magazine has inspired a legion of architecture, interior designers and fashion designers for many years – it is revered by the designing community in the world. The magazine has beautiful and explanatory illustrations of the latest architectural masterpieces erected across the world which is usually followed up by the input of the chief architecture and views of a critic at the end of it. The fashion section is a true fest for the eyes and gives the reader essential information regarding the hottest trends in the market. There are numerous interviews of the top fashion designers of the world and their take on the dying fashion, the latest fabric in use and other related areas. Featuring a section which answers the questions asked by you, these queries are answered by the esteemed line-up of contributors to the magazine. A must have for every design enthusiast! A roundtable with Ilse Crawford about the value of wellbeing; an exploration of the potential of native corn for Mexican communities, led by Fernando Laposse; a study of neoteny in design, and the power of objects to engender endearment; a trip through the psychological effects of Tetris and spatial design; a visit to a divided Paris as Ronan and Erwan Bouroullec open their crystal fountains for the Champs-Élysées; MoMA’s history as a tastemaker in design; a trip to CES to see tech attempt to take on climate change; Joseph Grima’s curation of a permanent home for Milanese design at the Triennale Museum; a study of architecture in the anthropocene, courtesy of Feilden Fowles’svisitor’s centre for the Yorkshire Sculpture Park; a look at data’s intersection with politics in Patrick Susskind’s new book; a report examining the rise of the design magazine award ceremony; a dive into the legal wranglings between Marcel Breuer and Alvar Aalto; and a chance to win a Grab watering can by Stine Aas and Northern.